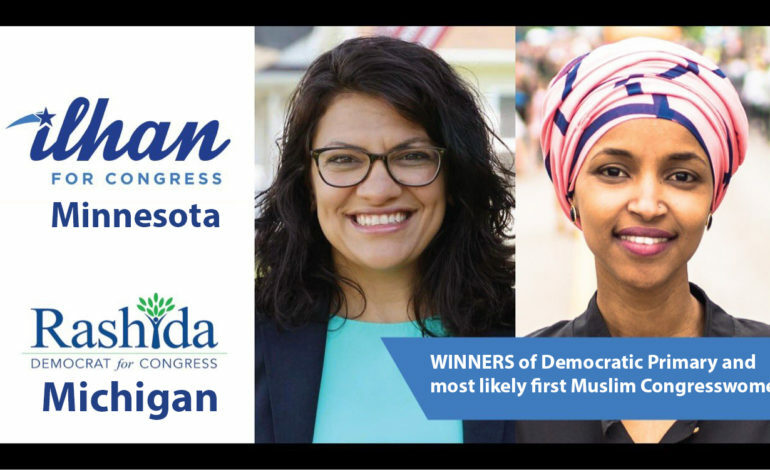 This week, Arab and Muslim Americans scored another historic victory in Minnesota where Ilhan Omar won comfortably a Congressional primary election. Omar, America’s first Somali American legislator, won the Minnesota Democratic primary for Congress on Tuesday. The seat she competed for in the Fifth District is currently held by U.S. Rep. Keith Ellison, the first Muslim elected to Congress, who isn’t seeking re-election in order to run for state attorney general. He won that primary Tuesday night in a landslide. Ilhan Omar won a seat in the Minnesota legislature in 2016 and became the first Muslim woman with a hijab to attain such a position. Since the Fifth District is mostly Democratic, Omar is poised to win the general election in November and make history as the first Somali immigrant mohajaba to be seated in the U.S. Congress. It’s important to note that Omar was subjected to harassments and even beating because of her hijab during a rally for the Democratic party in 2014. Last week, former Michigan Democratic State Representative Rashida Tlaib won the Congressional primary election, which set her on the road to become the first Palestinian American Muslim woman in Congress. There is no Republican running for the seat in the heavily Democratic-leaning district, meaning Tlaib is virtually guaranteed to win the seat in November. Tlaib is the eldest of 14 children of Palestinian parents. She grew up in Detroit, never having forgotten her roots. 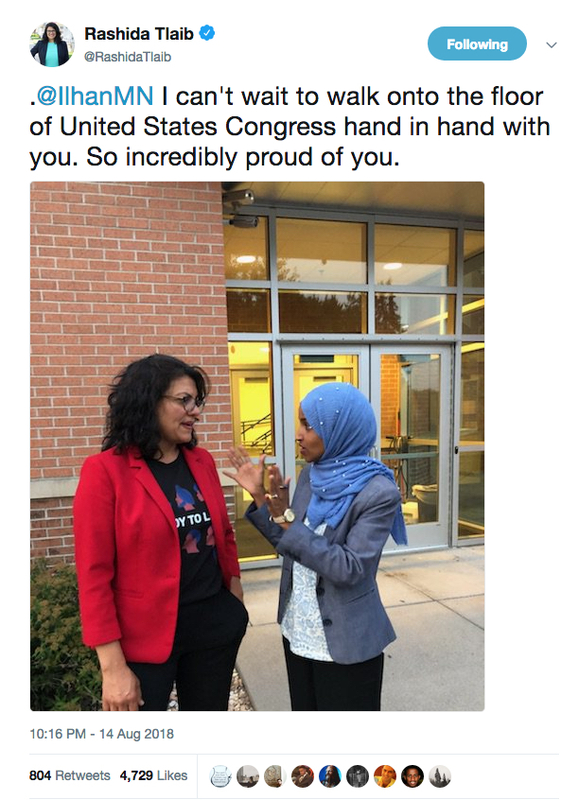 Two Arab American and Muslim women already made history and will most likely walk the halls of the U.S. Congress next January hand in hand. But history can still be made in other races. One of these races is the November general election in California. A young Democratic Congressional candidate of Latino and Arab descent is running against an incumbent in a traditionally Republican district. Last Wednesday, Ammar Campa-Najjar got a boost from his old boss, former President Obama. Campa-Najjar, 29, is vying to represent California’s 50th District against Republican U.S. Rep. Duncan Hunter, who is currently under investigation by the FBI for allegedly misusing campaign funds. A recent poll put Campa-Najjar within nine points of Hunter, and that was prior to Obama’s endorsement. Ammar is the son of a Mexican American mother and a Palestinian immigrant father. His race is one that needs to be watched. If he wins in November, it will be another historic victory chalked up for Arab Americans. Arab American and Muslim candidates have proven beyond doubt that they’re capable of launching effective campaigns, articulating their agendas, raising substantial money and impressively winning or competing in various races. Chronicling these races are important in the Trump era. Two years ago Donald Trump, the candidate, waged a campaign of hate against Muslims, Arabs, Blacks, Mexicans and women, among others. 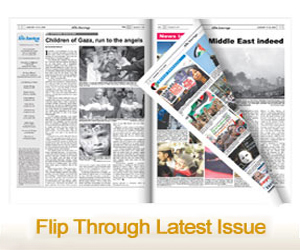 These victories are in response to his policies of hate, discrimination and division. It is for that reason a record number of Arab and Muslim American candidates ran for various offices across the nation, 90 candidates to be exact. Trump and his followers wrongly thought that targeted communities, after he won the presidency, were going to be scared and eventually would pack up and leave. Many are doing so, but not in the sense Trump and his followers hoped. Instead, some candidates from targeted communities are packing in order to move to Washington and to represent those communities in Congress, while others are planning to head to their respective state capitols. Candidates representing targeted communities are appearing on the political scene in record numbers and scoring historic victories across the nation; and this is just the beginning.